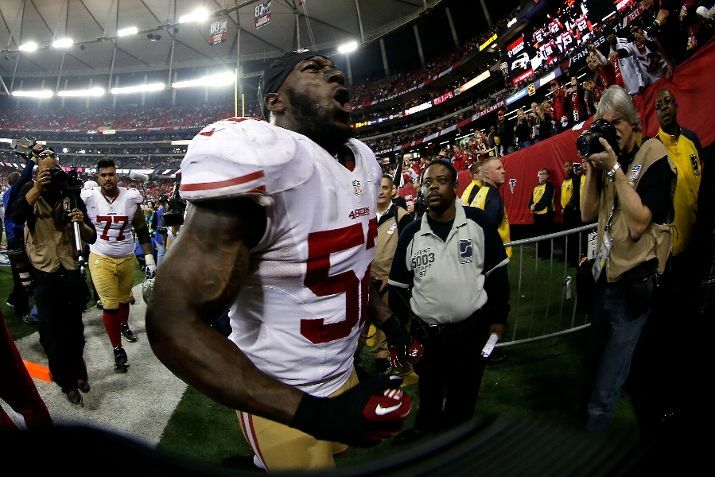 Patrick Willis and the 49ers are going to the Super Bowl! Isn’t it great? The 49ers are heading back to the Super Bowl for the first time since the 1994 season. It’s a great feeling for me since I grew up a 49ers fan but it means a lot more to me because it’s special for so many people I know. My dad loves the team and I can just imagine him being so happy. He taught me the game and we watched the Niners when I was a young kid. This is for him. I got so many friends who are also Niners fans and this is something that I know they are enjoying. They are true fans, not the bandwagon kind and they deserve this too. But most importantly, this victory means so much to me because of all the great people I met in my three years on the beat covering the team. Can Frank Gore run over the Falcons? After what the 49ers did to the Packers last week you’d think they would steamroll their way to the Super Bowl. But the Falcons are tougher than most people give them credit for. Their secondary isn’t that great which might be the 49ers’ best chance to score. But their front seven is pretty solid (if John Abraham is healthy) and the 49ers need to figure out how to run against a well-coached Mike Nolan defense. On the other hand, the 49ers will have their hands full trying to stop the Falcons offense. Jacquizz Rodgers is turning into a great backup for Michael Turner and the 1-2 punch could give the 49ers some problems. The biggest concern is the passing game. Tony Gonzalez continues to play at a high level and the wide receivers of Julio Jones and Roddy White have caused matchup problems all year. The 49ers have to be careful on the intricate passing routes they have. The biggest factor will come down to Colin Kaepernick. He was able to bounce back after an interception last week. Can he avoid that and play well from the start? That will determine if the 49ers can silence the loud home crowd early in the game. Ultimately, the 49ers defense likely will set the tone for the 49ers here.